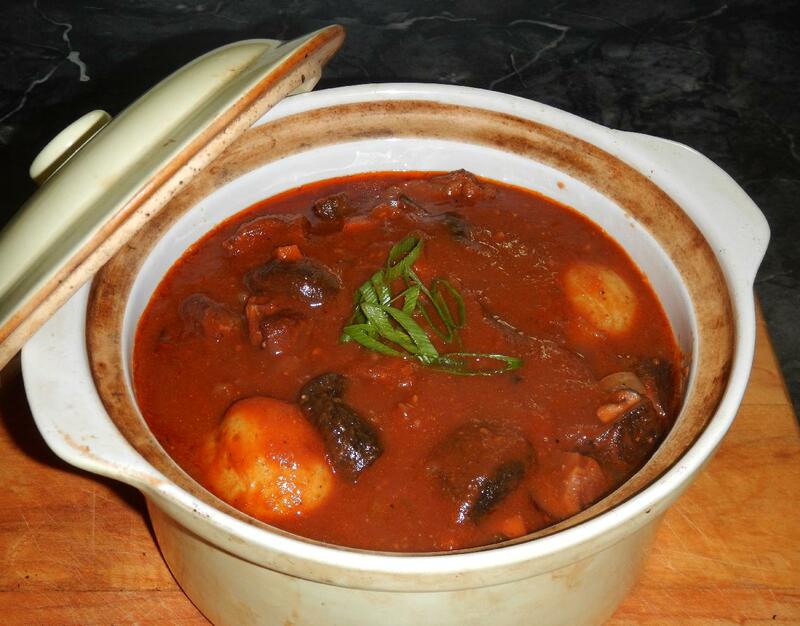 A while ago, my blogging friend Stefan over at Stefan’s Gourmet Blog featured a very complex and interesting recipe for a Beef Rendang that is well worth a look. 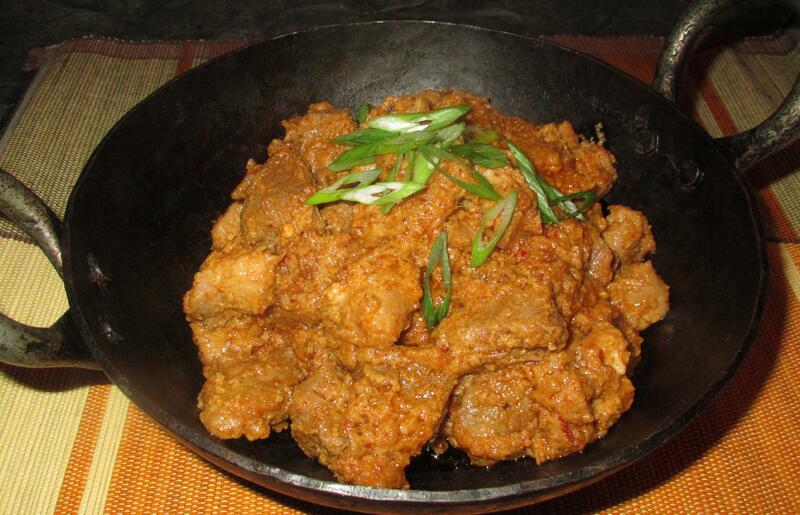 For those unfamiliar with the basic dish, it is essentially a dry curry made chiefly with beef (and occasionally with chicken), in which the meat is cooked with a spice paste and coconut milk very slowly until almost all the liquid is absorbed and the oil from the milk begins to separate out. It is originally an Indonesian dish but it is popular throughout South-east Asia, particularly in Malaysia and, now, in Thailand. I’m not actually sharing a recipe with you today but I thought some of my readers who are not familiar with caribou might like to see this dish made by my wife the other day. Those of you who have been reading my blog over the past week or so will know that my wife has been very busy with a computer camp she organized for kids recently. They all required being fed lunches during the week and this particular task was taken up by my wife as well. They had one feed of Mac ‘n’ Cheese (a huge vat of which was made by yours truly), as well as a do-it-yourself sandwich affair. 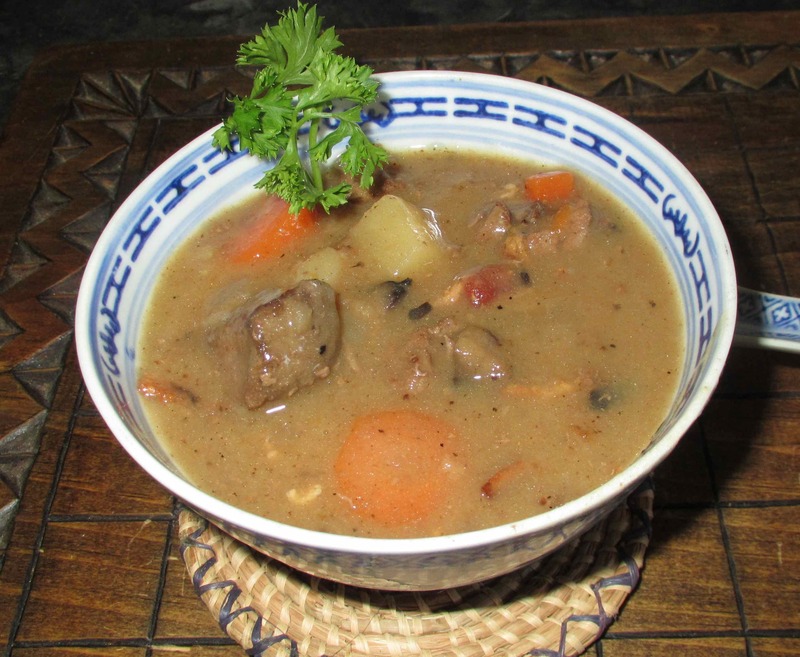 Since the students were all local Inuit children, my wife also included a traditional meal for them in the form of the caribou stew you see above.